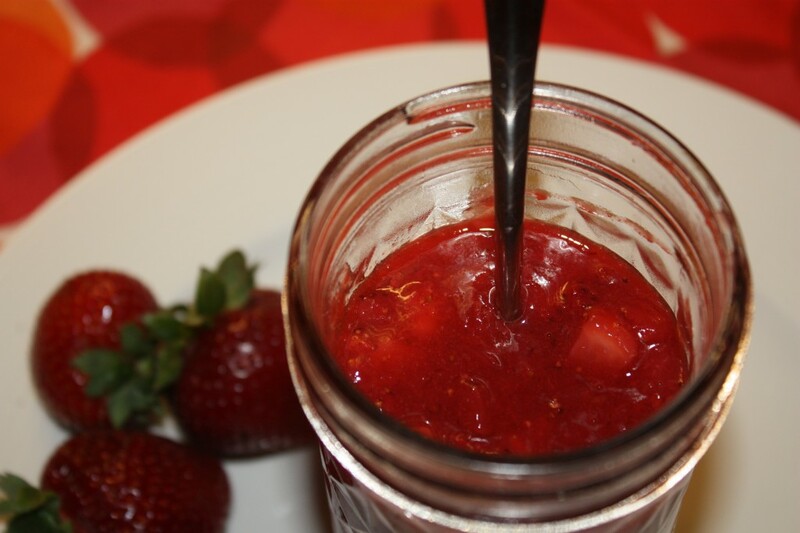 I’m hooked on this sugar free strawberry topping! Strawberries are still overflowing at the farmer’s market, so I can’t pass the opportunity to make something delicious with them. In less than 15 minutes you can whip up a batch of this sauce! 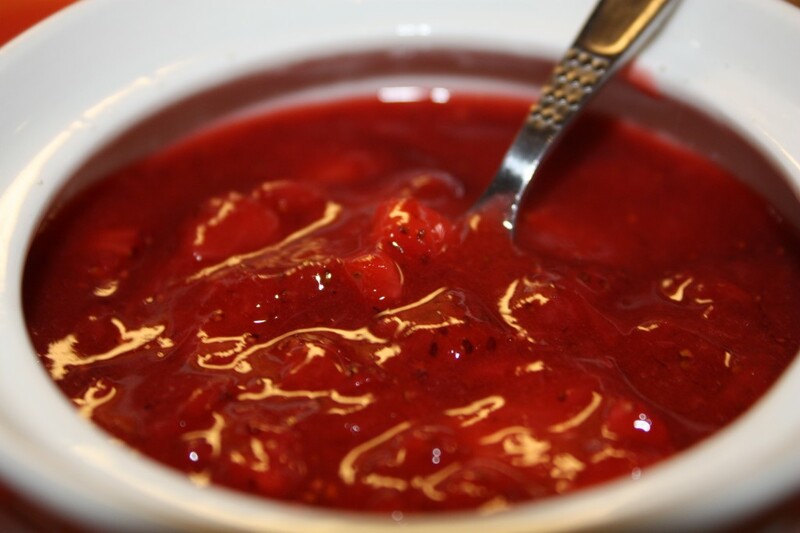 Spoonfuls of this sauce has lathered my toast, been swirled in my yogurt, and has topped my ice cream! Set 1/3 of the chopped strawberries to the side. These will be added at the end. Add the remaining berries and xylitol (or sugar) to a medium high heated saucepan, stirring occasionally until the juices are released, xylitol melts, and the mixture begins to thicken (5-8 minutes). Remove from heat, add the vanilla and stir until blended. Stir in the remaining strawberries. Take half of the topping and puree it. Return it to the mixture. Let cool completely before storing in the refrigerator. The topping will remain fresh for about a week. Three simple ingredients. Can it be any easier? I think not! Get creative and dress up your favorite foods with it. 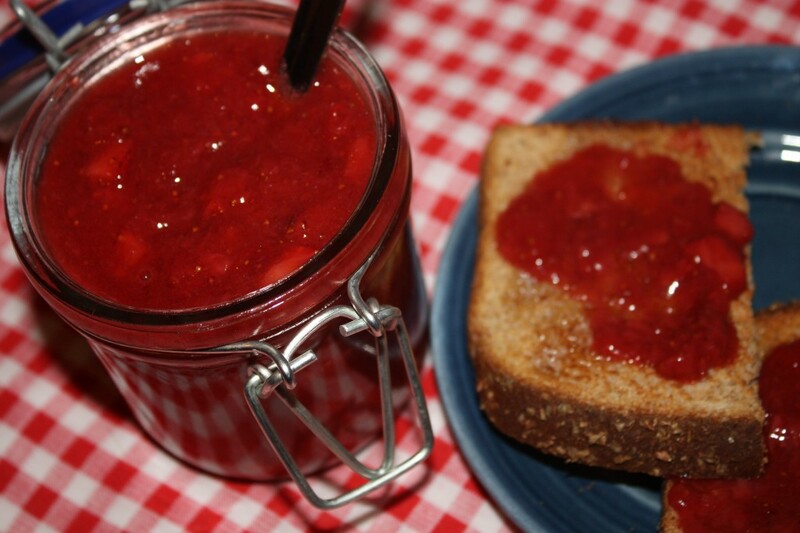 Oh, how about an old fashioned PB&J! That’s what I need to try next! Breakfast in a bowl! 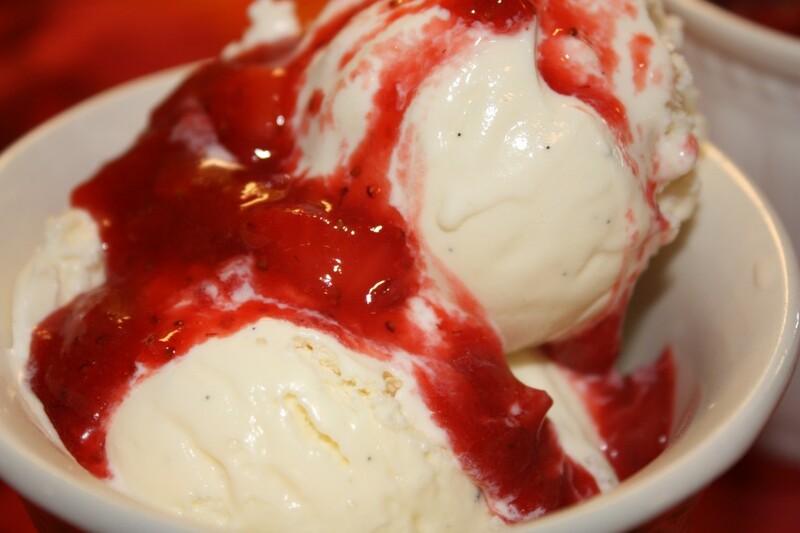 Sugar free strawberry topping added to Greek yogurt. 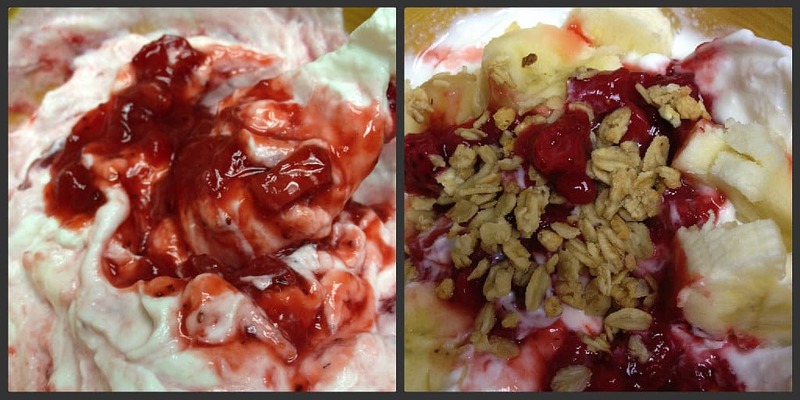 Banana split for breakfast anyone? My usual morning plain Greek yogurt got an overhaul by adding fresh sugar-free strawberry topping, a sprinkle of granola, and half of a sliced banana. Oh, how I love the fresh fruits of the summer months. I made two batches of the strawberry topping, and while we still have these beautiful fruits in season, I suppose I should try blueberry, peach or apricot toppings! oh my!! This is such a versatile recipe!! 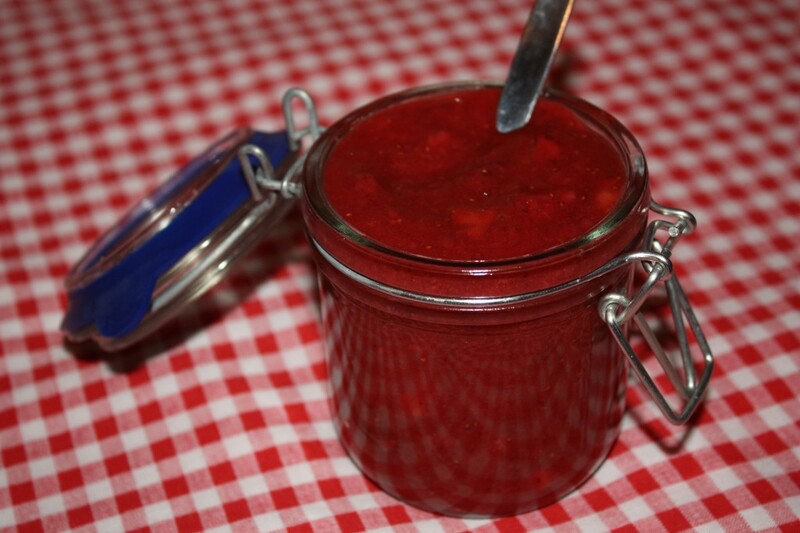 I am already imagining all the possible creations I could do with this wonderful strawberry topping!! 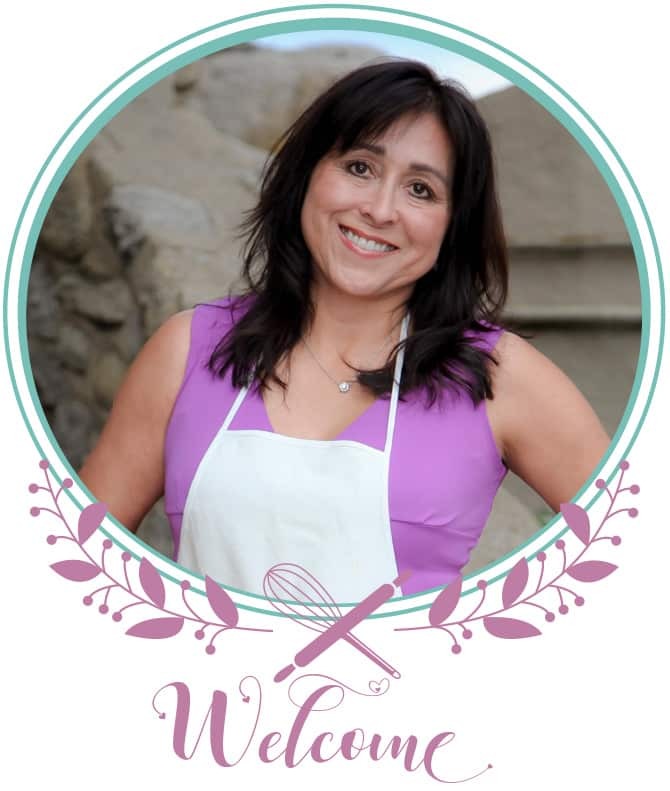 cheesecakes, cupcakes, french toast, crepes…. Getting hungry now! lol!! Hey, Sandra!! I’ve been on vacation & am playing catch up… so sad I didn’t get this recipe before I left! We found an old school waffle iron at our beach house & this strawberry topping on those waffles would have been nothing short of amazing!!! Oh, that would have been fun breakfast for your family! It’s sooo easy to make. Topped on pancakes is a quick alternative! Glad you are back blogging!! This is great and important information. Thank you for taking the time to comment! Made this tonight- yum! Used Lakanto sweetener. Oooh, enjoy Vicky! It’s time for me to make a new batch too. 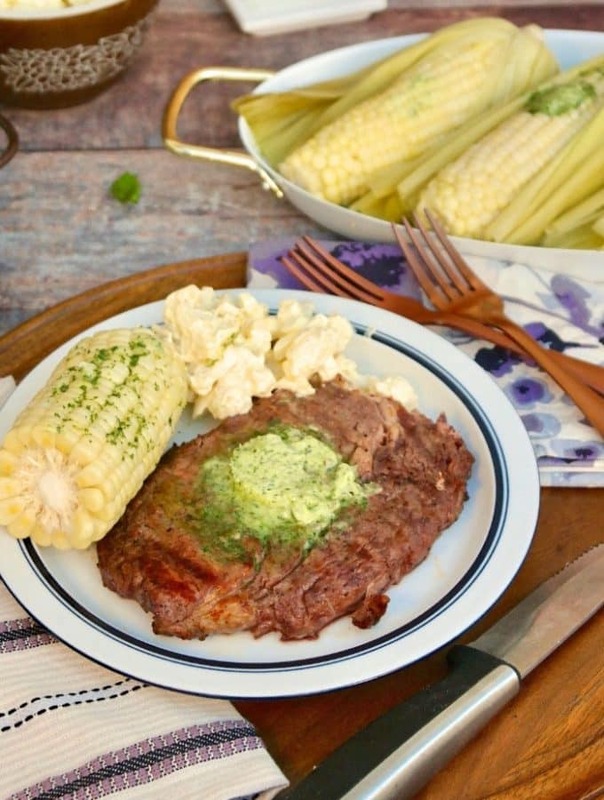 Grilled rib eye steak is a delicious cut of meat that will be the center attraction to your summer grilling season! Flavor with salt and pepper and serve with a cilantro-lime compound butter along with your favorite side dishes! This post has been sponsored by Strauss Direct, and The Kitchn. All opinions are always my own….